Todd Bentley is known far and wide for his ability to spin tall tales with a wink and a grin, and sound convincing. He needs no introduction. 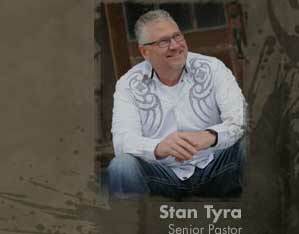 Stan Tyra is the Senior Pastor of Revolution Church in Rogers, Arkansas. He considers Bill Johnson and Graham Cooke as his “spiritual heroes!” (Twitter, May 4, 2010). To make matters worse, he welcomed Todd Bentley as a guest speaker to Revolution Church on July 29-30, 2012. Todd Bentley had a word for me last week. He gave that word kinda semi-publicly, and we shared it in the house because it’s important to us as a church. And he said that he saw a spirit of Thor on me. Thor is a character that some of you probably familiar with. I really wasn’t that familiar with him until he told me. But Thor carries a hammer. And Todd said, “Stan, when you teach it’ll be like a hammer, and it will break things that are so that new things may be formed.” And that’s a powerful word to me. Pastors who turn their pulpits over to false teachers demonstrate a tremendous lack of discernment. Doing so is risky business, since the spiritual welfare of the congregation is a top priority. The Bible instructs pastors to guard their flocks and warn against false teachers, not welcome them with open arms (Matthew 7:15-20; 2 Peter 3:17-18; Acts 20:27-31; Jude 3). The angel of light the Apostle Paul warned about in 2 Corinthians chapter 11 overshadows all false teachers, and produces false apostles and deceitful workers–all of whom disguise themselves as apostles of Christ. If, indeed, Stan Tyra is telling the truth, he’s bitten-off more than he can chew, so to say, due to the fact that the demonic activity surrounding Todd Bentley is real and infectious. Besides, who in their right mind would want a “spirit of Thor” resting on them? More on that later. ReformedMusicMan Pastor Stan Tyra Receives spirit of Thor? Is this a joke? http://bit.ly/PMwRBy. Chris Rosebrough Did you give Stan Tyra “the spirit of Thor”? Recently, Pastor Stan Tyra stated publicly that you “saw a spirit of Thor” on him. Is he telling the truth or lying? As of this writing, there has been no reply. Chris Lawson StanTyra(sermon) claims you said “And he [Todd Bentley] said that he saw a spirit of Thor on me.” Is this true Mr. Bentley? Todd Bentley No. The only spirit we want on people is Jesus!!! Chris Lawson Todd, thanks for your reply. Is Pastor Stan Tyra lying? Chris Lawson Todd, Stan Tyra was very, very clear about what you said to him! Is Stan Tyra lying? Yes or No? As of this writing, there has been no further comments from Todd Bentley. August 31, 2012: Bud Press of Christian Research Service called Stan Tyra and left a message on his voice mail. The call was made to verify Tyra’s ”spirit of Thor” statement, and to discuss the issue. September 1, 2012: Stan Tyra called Bud Press and confirmed that Todd Bentley made the “spirit of Thor” statement. Unfortunately, the conversation lasted only for a few minutes, because Tyra said he was being treated in a hospital for broken ribs and a back injury he sustained in a recent accident. Thus, the reader is left to decide who is being honest and dishonest. While Thor and other Norse “gods” are viewed as harmless mythology, they are false “gods” just the same, and were idolized and worshiped. They are the result of a polytheistic society, and are pagan. Indeed, the “spirit of Thor” is demonic, and is to be avoided at all costs. Exodus 20:3: You shall have no other gods before Me. Deuteronomy 6:14-15: You shall not follow other gods, any of the gods of the peoples who surround you, for the LORD your God in the midst of you is a jealous God; otherwise the anger of the LORD your God will be kindled against you, and He will wipe you off the face of the earth. Jeremiah 25:6: …and do not go after other gods to serve them and to worship them, and do not provoke Me to anger with the work of your hands, and I will do you no harm. Jessa Bentley Thor!!! Amazing!!!! Best movie yet!! It appears that both Todd and Jessa watched Thor about 14 months before Todd spoke in Steve Tyra’s church.